Peaceful wooded setting, surrounded by nature!!! 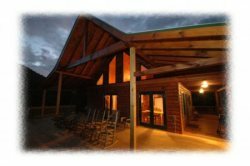 Serenity is just what will await you in this beautiful luxury cabin.The private wooded setting with nature right outside your door is perfect for a romantic getaway or the enjoy time with family and friends. 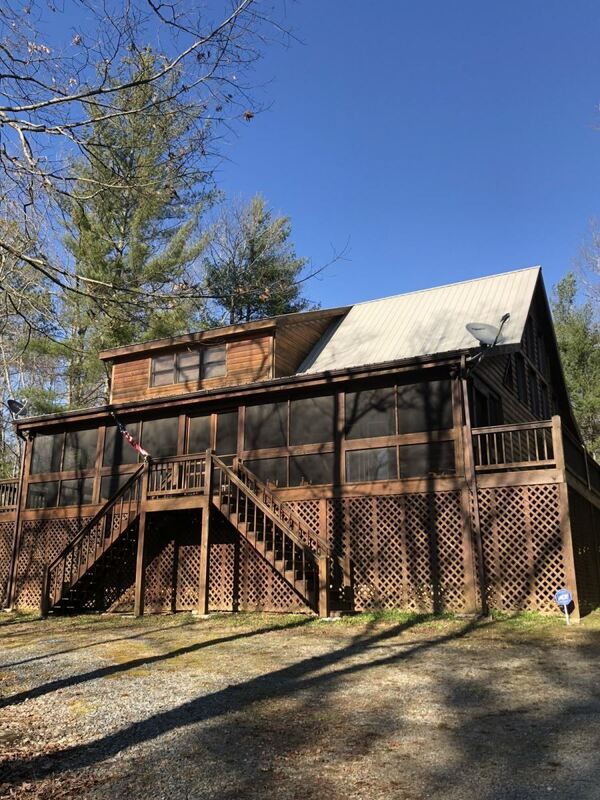 Outdoor enthusiasts will appreciate how convenient the cabin is to fishing,boating,and many hiking trails at the Toccoa River,Lake Blue Ridge and the Appalachian trail. Inside the cabin you will feel right at home with the warm wood interior and 2 gas fireplaces one on each level. The large open living space allows your family and friends to enjoy each other's company while preparing meals in the fully equipped kitchen or on the outdoor gas grill. The cabin features 2 bedrooms ( one with king bed the other with queen) and 2 full baths on the main level. And the huge loft offers a pool table, game table,air hockey, along with a additional full bathroom and jetted tub. Cabin also has new flat screen T.V. 's , WiFi , and many board games to play. Outside you will find a fire pit and HOT TUB. Which is the perfect way to end you day. COME ENJOY SERENITY IN BLUE RIDGE! !